Jailed by the Israelis for ten months beginning April 15 1984, and freed in a prisoner exchange May 1985 with the PFLP. 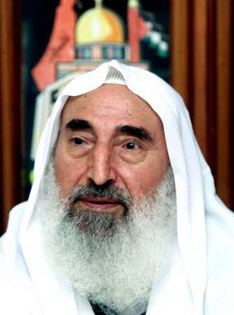 Founded Hamas movement on 14 December 1987. Arrested again during the Intifada, freed again by Israel on 1 October 1997 to obtain medical treatment in Jordan. It is said that he sanctioned the first female Hamas suicide attack in Gaza against Israeli border guards.